Cheap Tyres Reading from The Reading Tyre Service Centre at Great Rates, we have all makes of Cheap tyres in stock at the very best rates possible in Reading Today, So for all your Cheap tyres And Budget Tyres Reading requirements pop down and see us, we also carry out puncture repairs at very cheap rates from 15.00 pounds plus Vat, but we will only repair your tyre if it is safe to do so. We have budget Tyres As well as premium rate tyres in stock, and we can also offer a free wheel alignment Tracking check with the latest 4 Wheel alignment Equipment Hunter Machine, just ask us when we fit your new tyres for a free no obligation Wheel tracking Reading check, after all you do need to get the maximum tire wear from your new tyres at all times. Please also check your tyre pressures regularly, this helps you to get the maximum wear from Your Cheap tyres and keeps them in good working condition, it is also very important not to over inflate your tyres, as this causes your tyres to wear in the middle of your tyres only, which causes your tyres to wear unevenly, also over inflated tyres lack road grip which causes you to loose control of your car, if in doubt check your vehicles handbook for the correct tyre pressure or you can always pop down to us for a free tyre check. We have a wide range of Premium Price Tyres Reading And Budget Car tyres Reading available and we are the Cheapest Tyre puncture repairs Centre available to you in Reading from £15.00 pounds plus Vat you will agree that this is as cheap as chips. 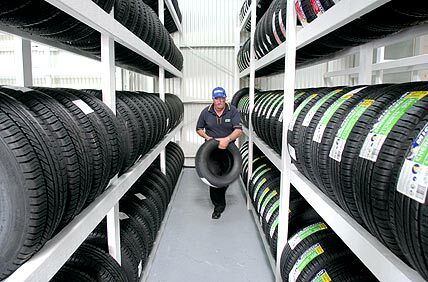 Please also make sure you quote your correct tyre size When ordering, as this could also lead to more charges if we have to return to our depot to retrieve the correct tyre size that you require. Our Fast fit tyre and Exhaust service is both reliable and very competitive. We value our customers and have grown in popularity over the years. If you need a new tyre, a vehicle repair or vehicle check up then bring your car along to our fully equipped garage in Reading, Berkshire and speak to one of our staff who will be more than happy to help you, Give you a Cheap Tyre Quote and if you are happy with the quote fit your Cheap tyres Reading while you wait. If you get a puncture you might be able to get it repaired for a fraction of the cost of a new tyre if the puncture is in the main tread area and you stopped quickly without overheating the deflated tyre, we can fix this for as little as £15.00 plus Vat, there will be a Call out Charge if we have to come to you at your home or place of work or wherever you have broken down. Wheel balancing can prolong the life of your tyres and save you time and money in the long-run. If a wheel is out of balance, it will cause a vibration at highway speeds that can be felt in the steering wheel and/or the seat. This can gradually cause excessive wear and create a uncomfortable ride and cause unnecessary tyre wear. Do not Pay for Air, Familiarise yourself with the tyre pressures and invest in a portable air compressor, you can plug it in your cigarette lighter, check, your tyre pressures on a regular basis this will save you money in terms of wear and tear and regular maintenance of your Tires. We are available 24 Hours per Day for our Mobile Tyre Fitting and a Car Breakdown Service.